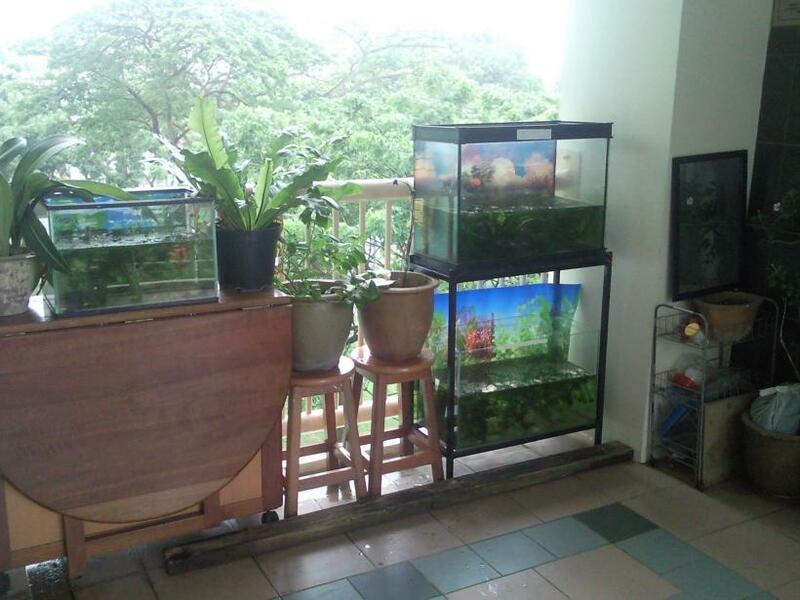 Keeping tropical fish at home has always been a favorite past time for Singaporeans and Asians in general. Reason being the maintenance costs for rearing pets like fish are much lower compared to other animals like dogs and cats. 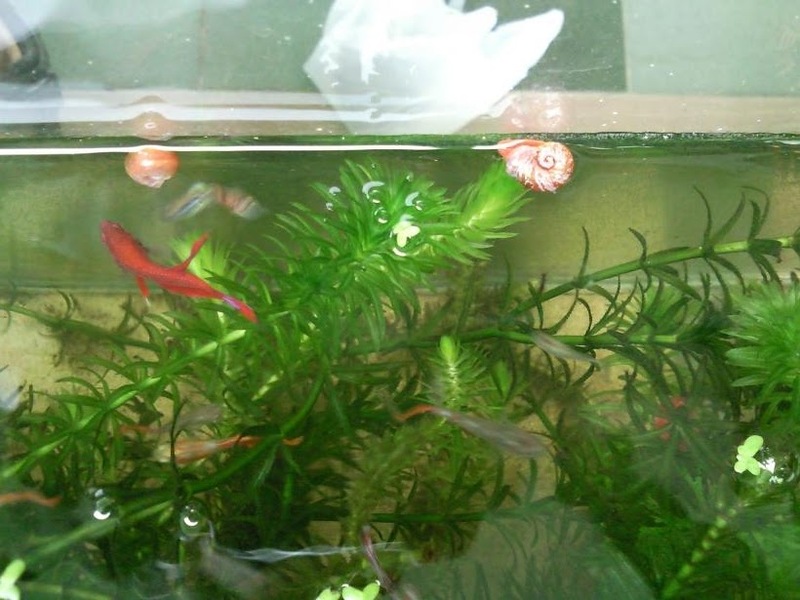 However the costs of keeping fishes are increasing and more sophisticated nowadays. 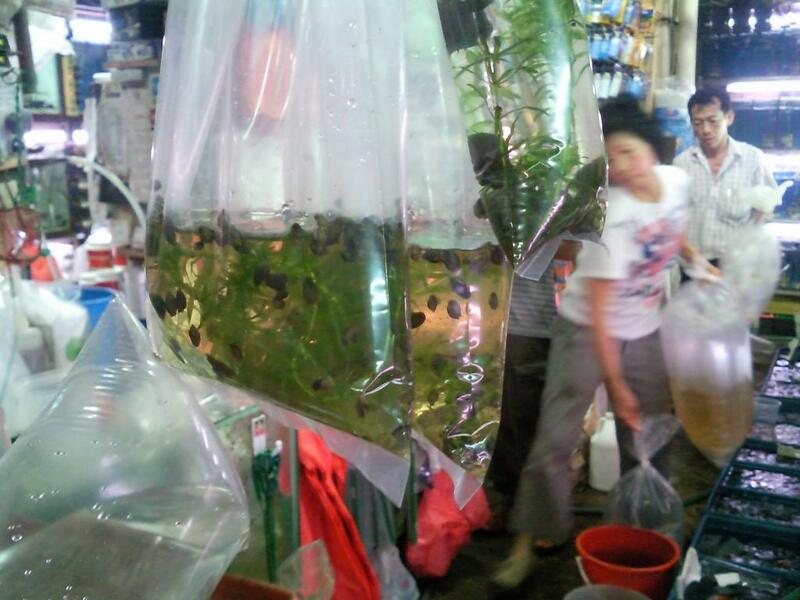 In order to keep these fishy pets happy, lightnings and fish equipments of all types are emerging in the market. 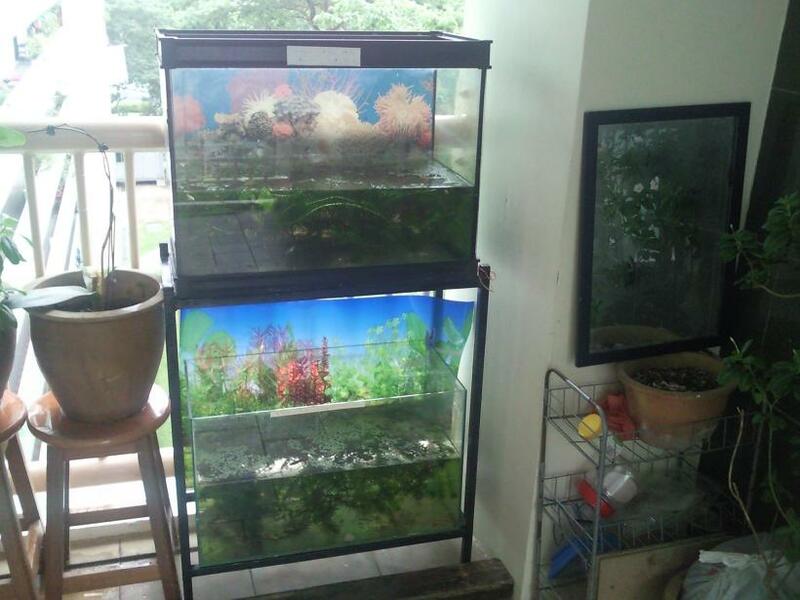 Prices range from as low as S$5 to over S$900! Some branded chillers, filters and fish tanks/ ponds are known to cost up to a few K in dollars. Hence, it is not surprising that those dealing in the tropical fish industry are concentrating their efforts on accessories for this pet sector alone. 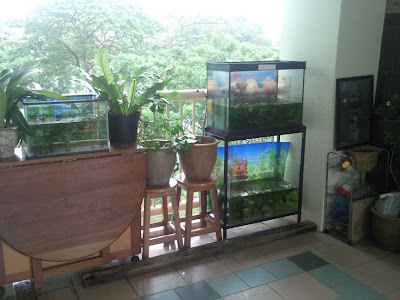 Every S$1 dollar you spend on fishes could amount to S$5 invested on fish equipments. 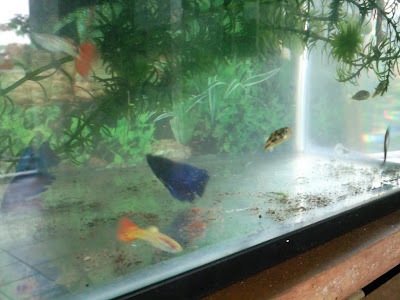 I have just explored a cheap means of keeping fishes, going back to the basics of keeping fishes. That is to place them in a natural setting by housing them in outdoor fish tanks. 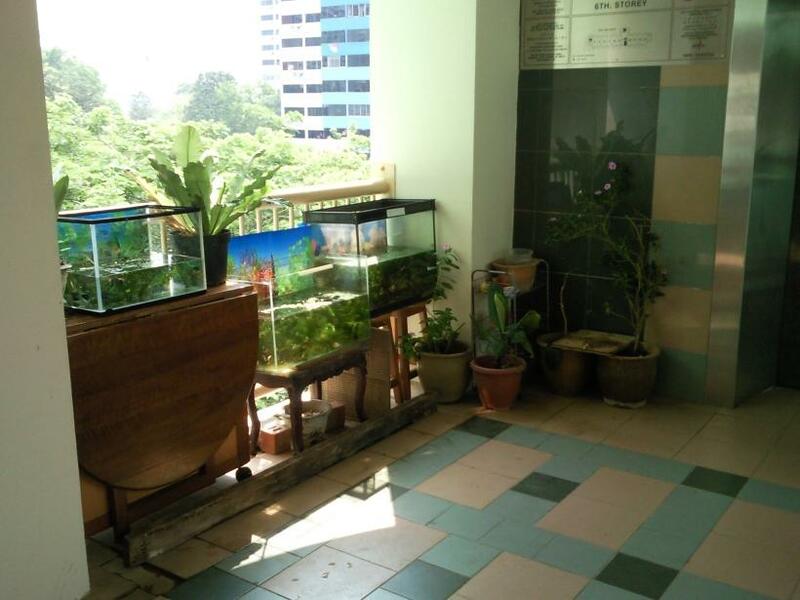 Fishes like Guppies, Mollies, Otto, Betta thrive well under such conditions as natural sunlight supply the needed oxygen (air supply), algae (food) and UV rays (medical sterilizer). 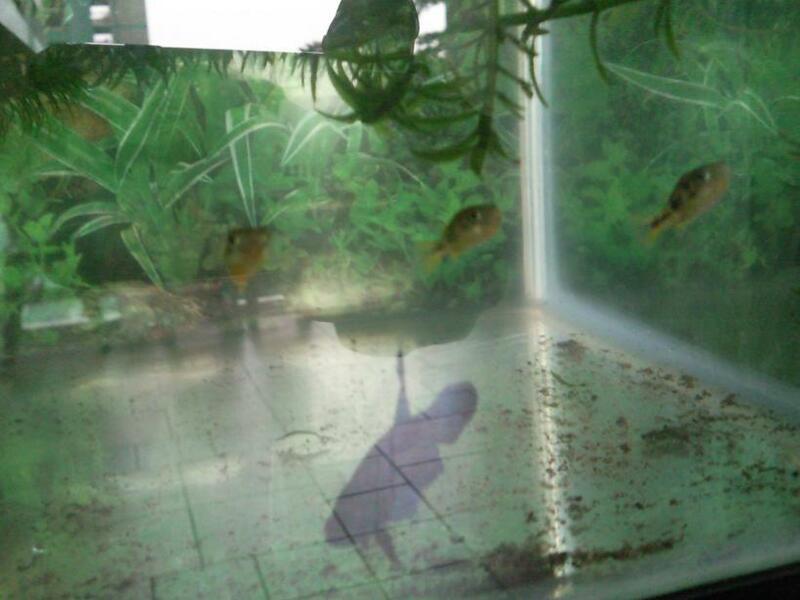 Bigger and more oxygen demanding fishes like Goldfish are not recommended for such outdoor tanks unless its more than 4 ft with less than 6 pcs inside. 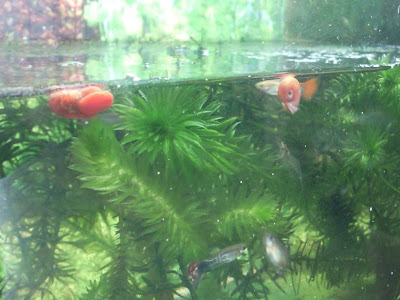 Many Arofanatics members urge me to feed the 3 green fellows above with snails (see Thread). So I went to buy four snails @ C328 costs $0.50 each,but $1.50 for colored shell. All the bettas and guppies "welcoming the new snails" the moment i introduce them into the tank (without puffers). Hope to cultivate and breed more baby snails before bring the green generals over. C328 Feeder Snails @ S$2 / packet (abt 50 pcs) , Aunty busy in the background! 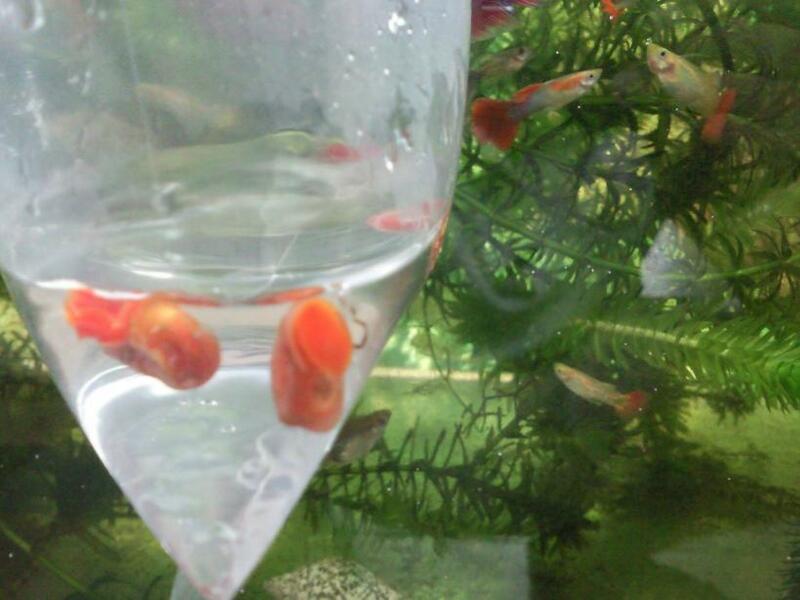 All these are free and do not require any payment and best of all the fishes liked it very much. There have not been any incident of death. Instead birth rates and color intensity has increased when under such natural conditions. Folks, "Back To The Basics".